The design of the store echoes the soft curves of the brand’s meditative symbol, the Zazen Bear, a plush, stuffed bear sitting in the lotus position, intended to act as a reminder to stop, breathe deeply, and embrace the inner self. The curves and the symmetry of the bear, became the starting point for a design aimed at generating a calming environment. The store entry is a threshold mediating between the bustling streets of Soho and a space that fosters serenity, comfort, and meditation. 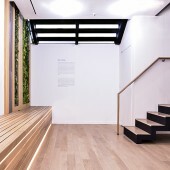 The Zazen Bear Flagship store, located in Soho, NYC, is a Korean - Japanese multi-use concept shop that serves as a retail space, art gallery, and meditation center. Within a space designed to encourage peace, tranquility and harmony, Zazen features products, including jewelry, housewares and Zen spirited items; wellness programming, including yoga and meditation classes; and an art gallery, presently exhibiting painting and calligraphy work by the Japanese artist, Seiho. 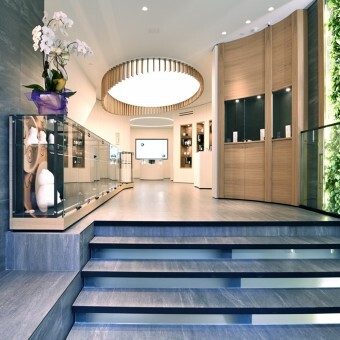 Users meander about the entry and upper levels while experiencing nature, via materials, and the refined retail environment that features Zen spirited items. For a moment of reprieve, away from the bustling heart of New York’s Soho district, users may descend down the gently sloping oak and metal stair to the lower level to discover a meditation and exhibition space. Research: A key strategy for Zazen was the incorporation of natural materials for their visual, phenomenological, and sustainability qualities. Research was performed to identify the viability of a planted wall (Philodendron - Cordatum and Marble - Queen Pothos were chosen for their durability). In addition to identifying plants that could be used in construction, sight lines from the street to the store interior were considered. 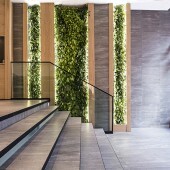 The plant wall, visible from the exterior, also plays a performative roles, offering acoustical separation between floors and purifying the air. Mitigating the acoustical exchanges between the stacked and varied programs — retail, above; exhibition and meditation, below — proved challenging. In order to preserve the maximum fluidity of circulation through the shop and run the plant wall continuously from the ceiling of the upper level to the floor of the lower level, we avoided the use of a complete physical barrier between levels. Kinetic stretch tracks along the stair wall were used to absorb the noise generated at upper level and thus maintain the peaceful environment at the lower level. Zazen Bear is a Korean-Japanese concept shop offering plush sleep cushions and meditation jewelry, a downstairs art gallery, and yoga classes. 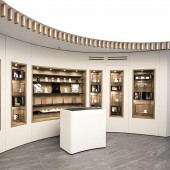 Zazen Bear offers guests a 360° experience that creates a path from Zen to shopping by providing a sense of sanctuary and harmony that allows exploring, through scent, texture and visuals. Every item in the store is crafted to evoke a sense of harmony, relaxation and tranquility when touched, worn or used to decorate the home. Zazen Bear Shop by Pierpaolo Martiradonna, Matteo Falcone and Francesco Ma is a Nominee in Interior Space and Exhibition Design Category. · Click here to register today inorder to be able to view the profile and other works by Pierpaolo Martiradonna,Matteo Falcone and Francesco Ma when results are announced. Zazen Bear Shop by Pierpaolo Martiradonna, Matteo Falcone and Francesco Ma is Winner in Interior Space and Exhibition Design Category, 2016 - 2017. · Press Members: Login or Register to request an exclusive interview with Pierpaolo Martiradonna,Matteo Falcone and Francesco Ma. · Click here to register inorder to view the profile and other works by Pierpaolo Martiradonna,Matteo Falcone and Francesco Ma. Did you like Pierpaolo Martiradonna, Matteo Falcone and Francesco Ma's Interior Design? 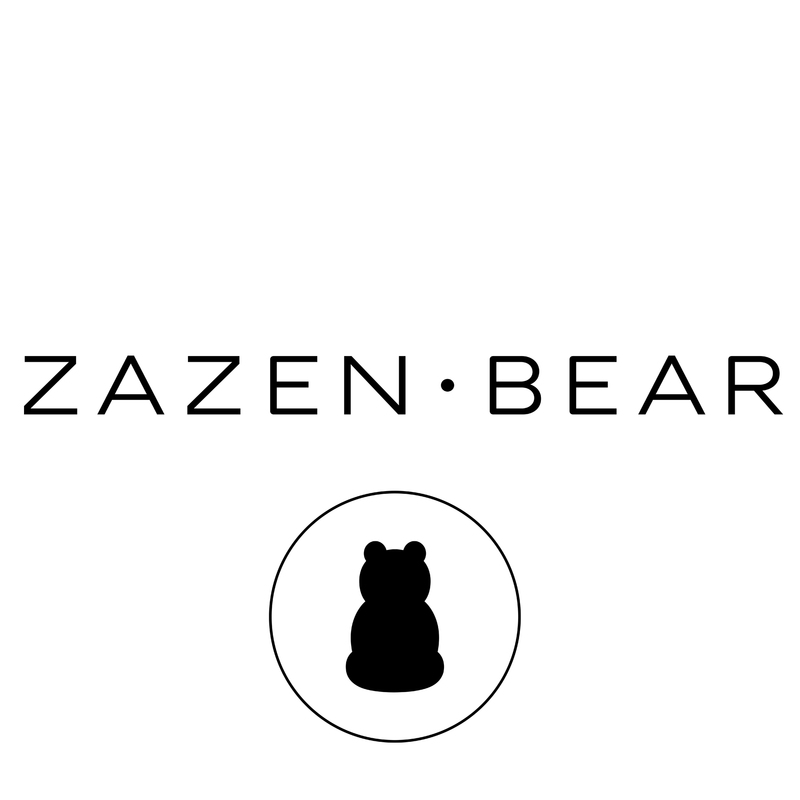 Did you like Zazen Bear Shop? Help us create a global awareness for good interior design worldwide. Show your support for Pierpaolo Martiradonna, Matteo Falcone and Francesco Ma, the creator of great interior design by gifting them a nomination ticket so that we could promote more of their great interior designs.